Home> Tech >A Motherboard Bundle - What does it consist of? A Motherboard Bundle - What does it consist of? On our website we sell a lot of systems varying from mega RGB'd Gaming PCs down to everyday Laptops to dinky little home entertainment PCs which you can attach to the underside of your desk and has all but dissapeared from view and mind. As well as these fully complete systems we also sell 'Part Built systems' which can be viewed as either an upgrade to your current machine or maybe just a starting point for a new build. This guide will hopefully let you know what a Motherboard Bundle consists of, what to look for when browsing the range of bundles available and also any tips on how to find the right one for you. So what's actually in a Motherboard bundle then? 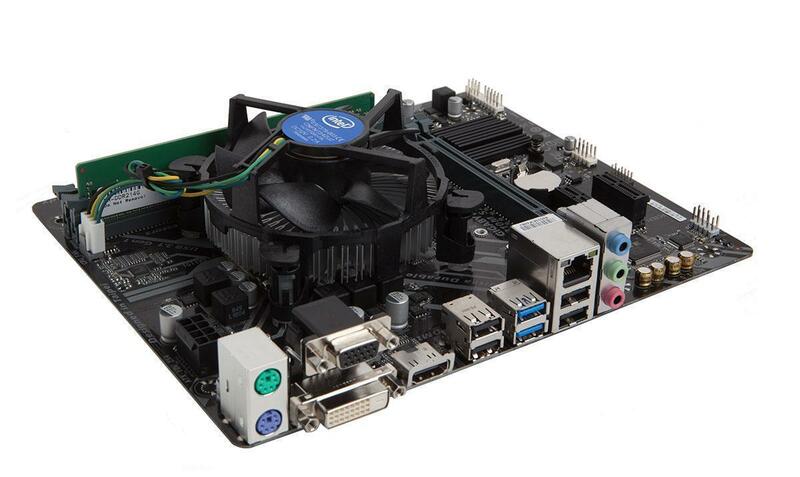 Well let's start with the obvious one here, a Motherboard. The focal point of these bundles, the Motherboard here is the base which everything else is built around. 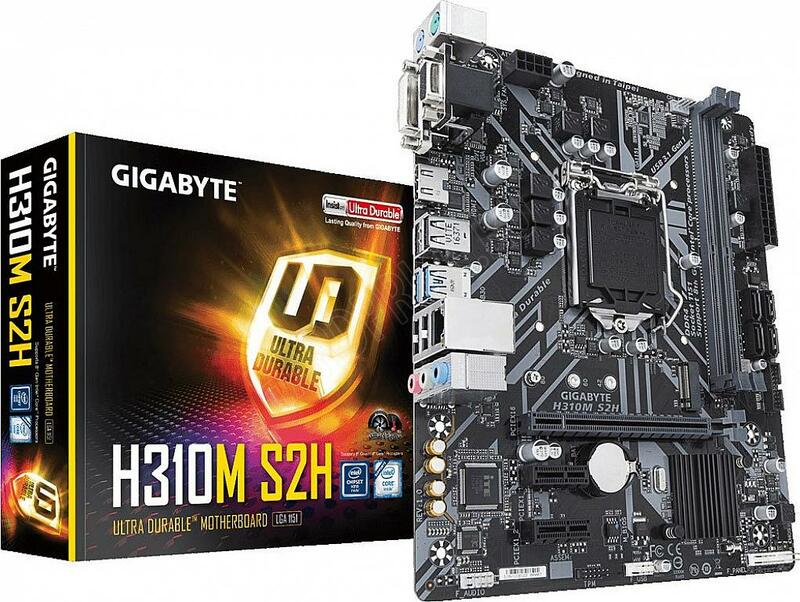 We often build our Motherboard range around Gigabyte and Asus branded boards using a variety of different chipsets, from H310M to Z370. If understanding the jargon behind these chipset names and numbers is something that raises your brow then take a read here of our helpful breakdown which can hopefully help and guide you. 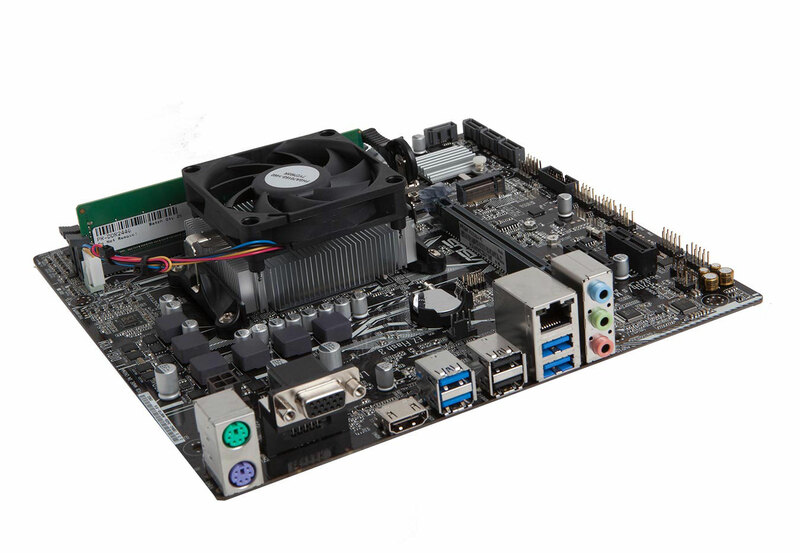 When looking at the Motherboards in the bundle you might be checking out, it's worth digging a bit deeper into the specification of that board to check on a few things such as the CPU support it has for any potential future upgrading. 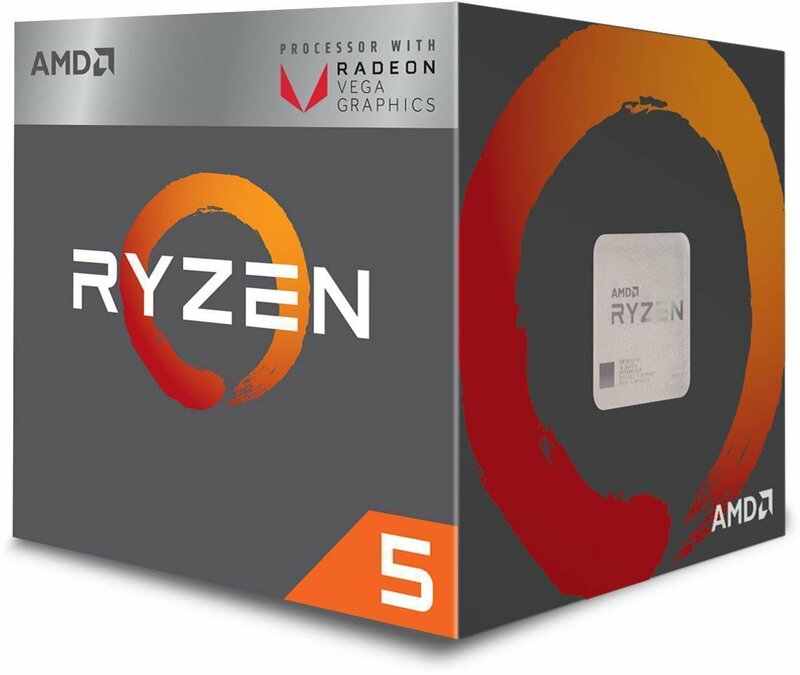 For example the bundle in the spec below shows it currently has an A8-9600APU installed as the processor however the board supports up to AM4 Socket Ryzen with Radeon Vega Graphics chips so you know that this processor can upgraded if you wish to get a bit more performance in the not so distant future. Other key things to note are how many memory slots the board has, this one says it has 2 slots which means one will already be filled with the 1x 4GB stick provided therefore any future memory upgrades will have to be another 1x 4GB stick of DDR4 2400Mhz Memory to give you 8GB overall or if you're after more RAM than that on your build you'll need buy two new sticks altogether and not use the 4GB provided. All of our Motherboard bundles come with the Memory (RAM) installed and tested. Most of our bundles have at least 8GB apart from our entry bundles which will come with 4GB. When browsing through our range of bundles, one thing to note when looking at the memory is to see how many sticks are used. For example looking below, both of these bundles come with 8GB installed however one will come with 1 stick of 8GB memory and the other will come with 2x 4GB sticks. This is good to know for any future upgrades if you are using yours for a new build or if you are upgrading a current build and plan to switch over any memory from your old one, you will need to make sure you have enough expansion slots for all of your memory. The big decision here, do you go for an AMD Ryzen or an 8th Generation Intel Processor bundle? If you're upgrading a current machine you may already know which path you're going down as it might be you're upgrading from 7th Gen Intel to 8th Gen, moving from an i3 to an i5 or maybe you want to switch codes and try out the powerful AMD Ryzen 5 2400G with Radeon RX Vega Graphics to start a new Entry Level Gaming PC. A sub note with the Processors is to take note of which cooler is used in the bundle as well. The lower end units will have a stock cooler installed on them which will be fine if you're using it for simple tasks however if you plan on installing your own dedicated Graphics Card, you'll definitely need to consider a beefier cooler on your Processor. The bundles below, the one on the left has an Intel stock cooler and the bundle on the right shows the AMD stock cooler. If you're looking for a bundle which has a better CPU Cooler on it, you'll need to check the specifications with a closer eye or normally you'll be able to tell by the phorograph a lot of the time. If you're looking at the overview/specification of the product it's definitely worth noting that it could be located in 2 different places, as shown below. The top unit the cooler is located with the Processor as that specific CPU comes with it's own Wraith LED Cooler (which is one of my favourite looking coolers personally) and the bottom unit has the cooler listed as it's own part on the overview as it is a seperate unit, the Arctic Freezer 7 Cooler. What Motherboard bundle do you need? If you're looking to build or upgrade a casual home PC, then our lower end range of bundles are fine for you. Our two cheapest Intel bundles both come with 8th Gen Processors, i3 8100 and i5 8400 respectively, they both come with the Gigabyte H310M Motherboard and the difference between the two is 4GB and 8GB ram, however the latter with the 8GB does come with the 2 sticks of 4GB so if you're upgrading your current machine you might not be able to combine these with your current memory. The i3 8100 Bundle currently retails at £209.99 here and the i5 8400 bundle at around £324.98 here. Our Ryzen 2400G bundle is perfect for an entry level Gaming PC as it comes with a solid Quad-Core Processor with Radeon RX Vega Graphics onboard, these Graphics are more than capable of running games such as CS:GO, MInecraft etc with no problems at all. The equivalent Intel bundle would be one of the Intel i5 bundles, such as the i5 8400 or the i5 8600 versions, however you would need to purchase a dedicated Graphics card, ideally looking at a 1050 Ti or a 1060 card to match your bundles' components. If you're looking for something a bit beefier to play games on or a bit more instensive work then our higher end bundles such as the AMD Ryzen 7 2700 bundle with 16GB Memory and Gigabyte Gaming 3 X370 board will suit you or the Intel option is the i7 8700K bundle with Corsair Vengeance 16GB Ram, Gigabyte Z370 motherboard and the Arctic Freezer 7 Pro Rev CPU Cooler. Either of these bundles partnered with a decent level Graphics Card will give you a great amount of power and you'll be more than capable of playing current games with ease. What else do you need to go with your Motherboard bundle? If you're starting a build from scratch and you're using one of our Motherboard Bundles as a foundation to build around then you'll need to make sure you know what else you'll need to have a complete PC. Your checklist should be the following; Case, Graphics Card (if needed), Power Supply, Storage (SSD/Hard Drive/or both). Another option is looking at our Barebone Bundles, they come with everything you get in a Motherboard bundle and also the Case and Power Supply. You'll pay a bit more for the extra components but you're closer to having a complete build. You can view our entire Motherboard range here, or if you know which side of the fence you're in, our Intel bundles are here and AMD bundles are here.